The Asian culture has brought so much to our society, and something every makeup aficionado knows that they have made some exquisite strides in the beauty world. Their products are enriched with botanical ingredients that leave the skin looking youthful, glowing, and as close to perfect as one could get. Today we’re going to dive into the world of Korean beauty with these Korean beauty products you simply need. It seems as though every woman of Asian decent knows how to create the perfect eyeliner line right across the top lid. How do they do it? We’re jealous, and we think we may have a product that gets us one step closer to that infamous, downright beautiful eyeliner. It’s TONYMOLY Backstage Gel Eyeliner. Ladies, this eyeliner can literally change your world. It is enhanced with thixotrepic gel, and if you don’t know what that’s all about, let me break it down for you: utmost smoothness for a perfect line every time. With the inclusion of silicone, you can rest assured your eyeliner is waterproof and can last consistency throughout the day (and night). Eyeshadow can be such a pain sometimes, can’t it? With all the trouble with blending and powder flying across the room, it CAN be a disaster waiting to happen. If you want the look without the drama, you’re going to fall in love with this eye shadow stick from KARADIUM. Let’s start with the texture. We’re talking a luxurious satin-like material that glides onto the lid with ease, and just so happens to be the easiest texture to blend. Secondly, this stick is easy to use- no extra equipment necessary. Thirdly, there’s BLING in this eye shadow, which means you’re sparkle and dazzle all night long. Oh, which brings me to my last point: waterproof ingredients included! Winning! If only we could find a BB cream that was hydrating, gave us a perfect matte finish, and hid all our flaws in one simple step. Doesn’t exist, right? WRONG. 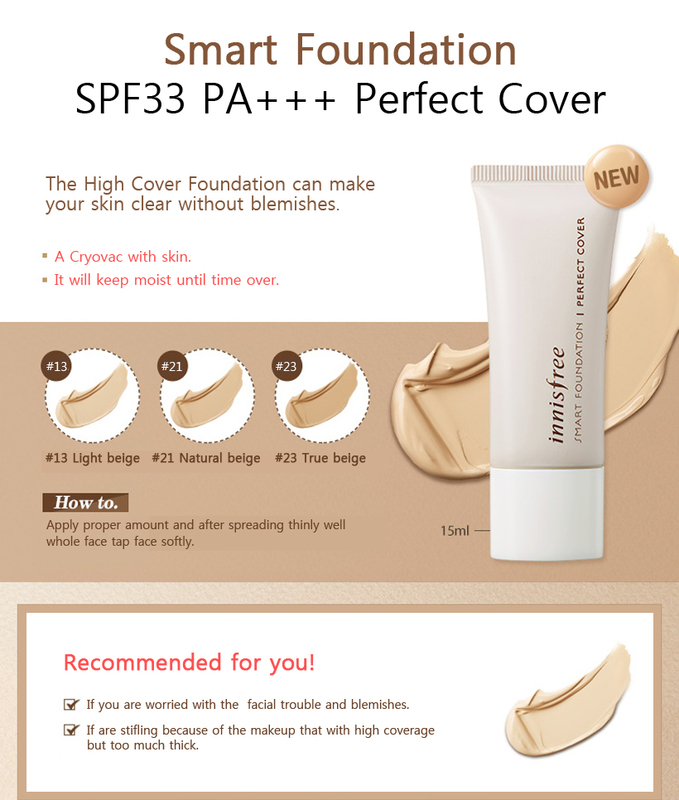 Let me proudly introduce you to the InnisFree Smart Foundation Perfect Cover. We’re in love with this foundation for all the right reasons. The biggest one is probably this: it’s going to change the way you look at BB creams for good. Unlike other BB creams that work as a base before foundation, this product is both. It has the ability to hide ALL of your flaws, while creating a matte finish like something you would find in a magazine. Yeah, needless to say we’re obsessed with this foundation from Korea. It’s the one-stop product that will have you looking flawless in just a matter of minutes. Who could argue with that? No face is complete without the right lipstick, and with the Laneige Silk Intense Lipstick the task is easy. We adore this lipstick because it comes in a variety of shades and textures. There’s sparkly for the outgoing perky gals to matte for the more professional and artistic variety. 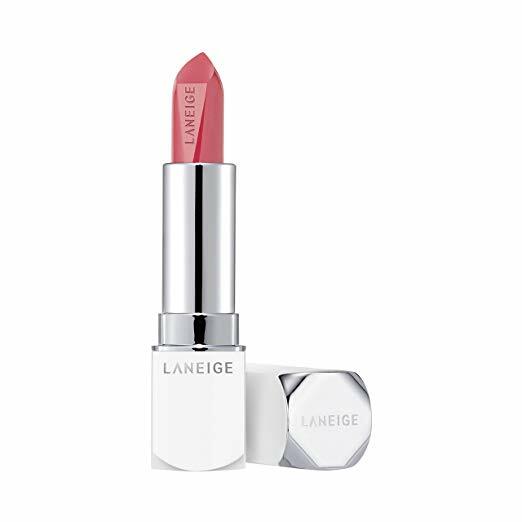 Aside from the selection, Laneige Silk Intense Lipstick glides on like butter and instantly produces color. For more color, simply swipe it across your lips a few more times until you get the drama you desire. Asian women are well aware of the positive effects of rice water on the skin, so why aren’t we using this product, too? Well, you can jump on the perfect skin bandwagon now with The Face Shop Rice Water Cleansing Foam. This decadent face wash has everything you need to prevent wrinkles and brighten your overall complexion. Rice water as well as other satisfying ingredients work together to detoxify the pores and leave your skin feeling smooth as butter. If you’re really wanting to main a youthful, glowing face, you have GOT to try this stuff. Looking for your next go-to sugar mask? We got you covered. Klairs Youthful Glow Sugar Mask is your best bet if you want beautiful skin, and everyone seems to LOVE this product. This unique sugar mask works as a cleaner and exfoliator as well, removing dry skin from your face with ease, leaving room for smooth and healthy skin to appear. And thanks to the sucrose granules built into the mask, rubbing onto your face feels like tiny beads massaging against your skin. It’s truly a spa-like experience that will let your skin breathe and come out more flawless than before. After reading this I think we all have one thing in common: we LOVE Korean beauty supplies and can’t wait to try them all. Which one will you try first?